As a new baby, Megan’s crib was stashed in the corner of her parent’s library. 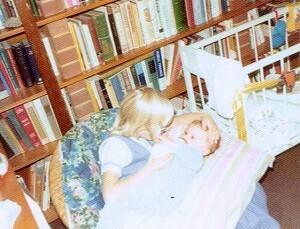 Surrounded by books from such a young age, she was destined for the written word. Since then, she has completed two degrees; a Bachelor of Arts at Mount Allison University with a major in Political Science and minors in Commerce and International Relations, and a Bachelor of Journalism at the University of Kings College. While much of her nearly 20 years of experience have been spent in radio and television, Megan has worked in various types of media including newspapers, magazines, web media and communications. She has spearheaded coverage of numerous election campaigns and led concise, in depth news investigations. Her award winning work has taken her into the midst of large corporations, political parties, small communities and private homes. She has worked in the press gallery of two of Canada’s provincial and territorial legislatures, and numerous newsrooms in six provinces and territories. Her writing combines in-depth research with concise and engaging copy to create stories readers don’t want to put down. She was a 2001 recipient of a New York Festival’s Silver World Medal for her work with CBC Radio North. Choosing to stay at home with her young son, Megan left the world of corporate media to embark on a career in freelance writing. She has found the freedom and creativity in her new role has allowed her to use skills honed in numerous newsrooms in new and exciting ways. Just months into her new venture, Megan was delivering strong and successful copy for her corporate clients and writing stories for newspapers and magazines. Used to working on tight deadlines, Megan is skilled at taking complicated issues and crafting a compelling message that will get an organization noticed. She knows that the right words make a difference and she delivers them on time and on budget. Megan is a member of the Professional Writers Association of Canada and the Nova Scotia Writers Federation.